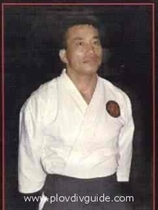 Sensei Genzan Takemura, the greatest aikido master in the world, is visiting <?xml:namespace prefix = st1 ns = "urn:schemas-microsoft-com:office:smarttags" />Plovdiv for a third time. July 27th-29th he will teach seminars in Plovdiv for police instructors. Public demonstrations are also scheduled.